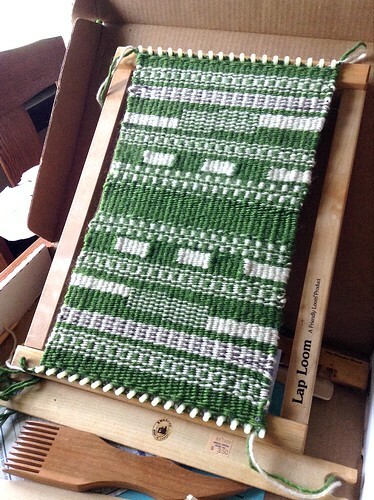 I don’t think I ever posted this picture of the finished tapestry/weft-faced mat I wove on the Harrisville Peg Loom. I was going to make it into a bag, but once it hit the coffee table, there it stayed. 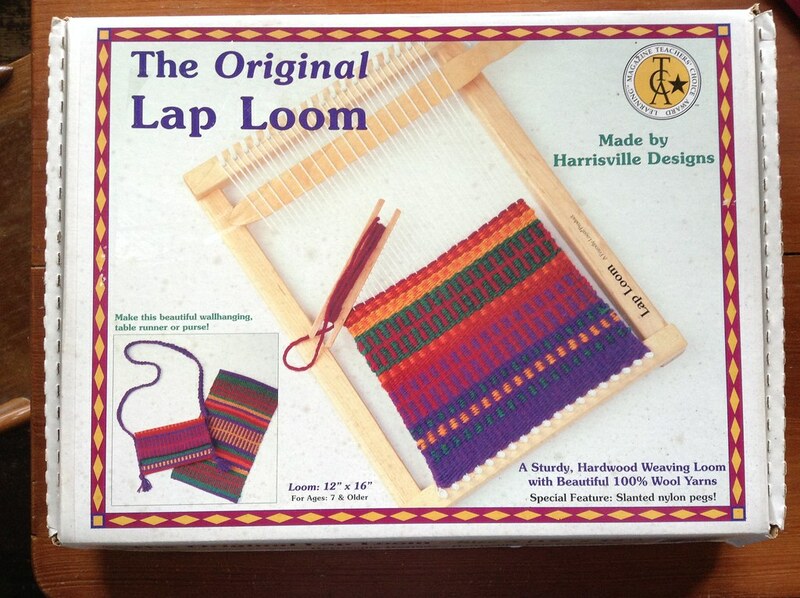 Here’s yet another second-hand find, a $10 Harrisville Lap Loom, also known as a peg loom or “friendly” loom. It measures 12″x16″. 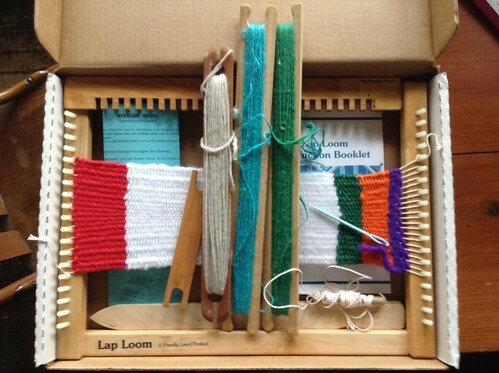 Also in the box were three extra shuttles and a Wonder Wand, a device which allows you to depress every other warp thread to insert a shed stick. That only works, by the way, if you don’t have a lot of draw in. There was a finished project left on the loom, which for some reason made me feel a little sad. All that work! This loom is probably meant more for kids than adults because it has a 4 epi sett, but I find it very comfortable to weave on. 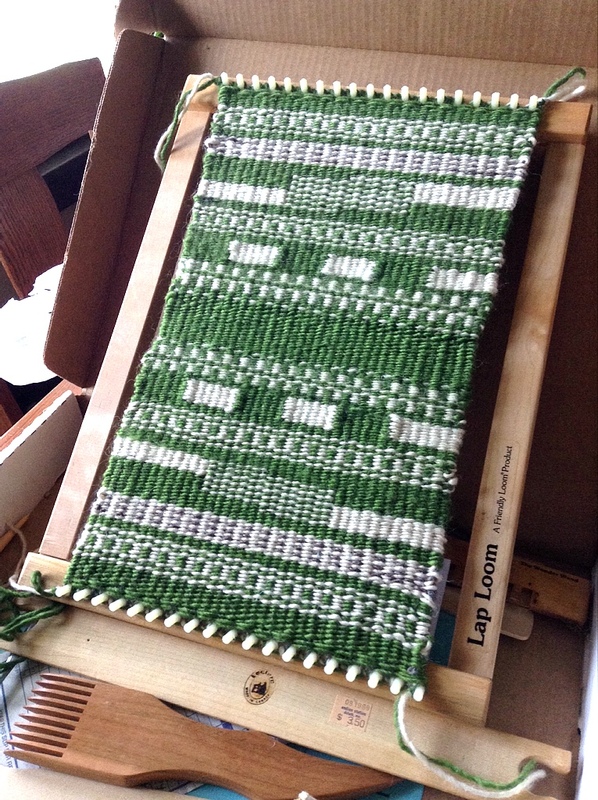 I recently bought a 4-ply Churro wool warp that I’m using for my first project, and because it has a lot of give, it’s making up for the lack of a tensioning device. 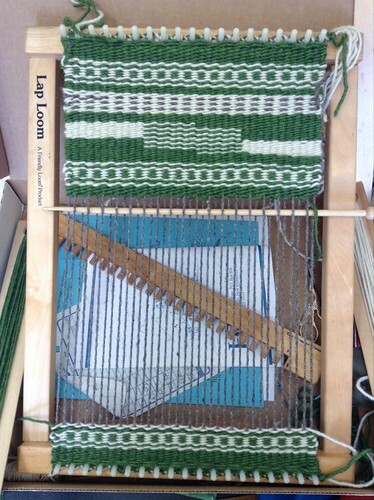 This loom is big enough that it could prove to be difficult if everything tightens up as you weave.